The permitted burn at the Leavenworth brush drop-off site ended at 4:30 p.m. today (April 17). Crews will monitor the fire site into the evening. Thank you to our neighbors in the area of the site for their patience while the green material was burned. 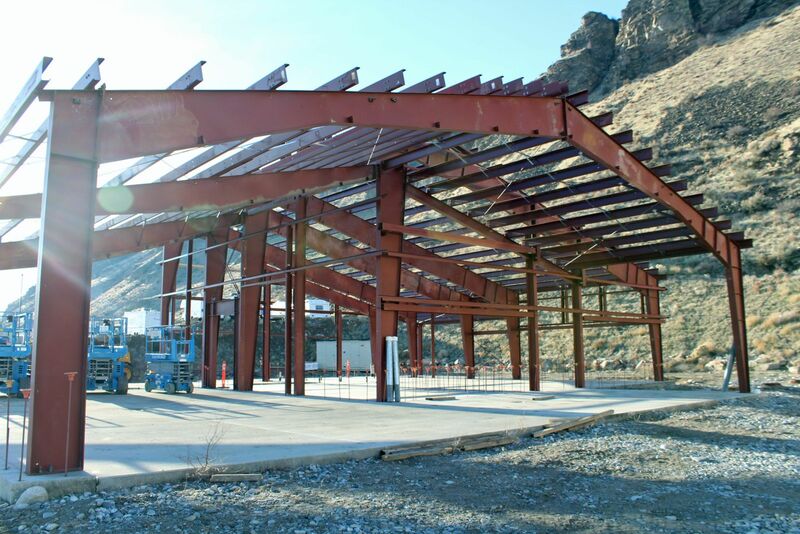 Chelan County Commissioners awarded a $1.1 million contract to Black Rock Construction & Development of Moses Lake for the construction of a facility that will allow residents to safely dispose of common household chemicals on a year-round basis. The 5,200-square-foot facility will be open on Highway 97A, near Stemilt. Construction on the facility will pick up again in spring 2019 and will be completed this summer. General site work, including demolition work and the laying of the new facility’s foundation, has been completed. The new facility will charge a nominal fee for use to cover operations and disposal. Read the full press release online. While you're waiting for the facility to be built, check out our blog on how you can safely dispose of some of those household hazardous wastes in your home. Chelan County operates the Dryden Transfer Station. The transfer station is at 9073 Highway 2, one mile east of the Highway 2 and Highway 97 Blewett Pass road junction. Entry is only possible from the eastbound lanes of Highway 2. The transfer station can be reached at 509-548-5592. Tuesday - Friday: 9:30 a.m. to 5 p.m. Saturday: 8:30 a.m. to 4 p.m. The transfer station is closed on holidays and Mondays. Accepted types of payment at Dryden Transfer Station are cash or check only; we do not accept debit or credit. *If you live in or operate your business in the apple maggot quarantine area of western Chelan County, you cannot bring brush or yard waste to the Dryden Transfer Station. You must bring your green waste to the day pit on East Leavenworth Road. *Loads of scrap metal and appliances are $10 per load. Appliances that have or previously had coolant are $25 per unit. A drop-off brush yard on East Leavenworth Road is available to residents and businesses in the apple maggot quarantine area. Brush, tree and bush trimmings, garden waste, needles and leaves are accepted. No rocks, dirt, sod, lumber or garbage are allowed. The drop-off yard is tentatively set to open on Friday, April 12. Open Tuesday – Saturday, 9 a.m. to 5 p.m.
Summer Hours (Starts May 1): 10 a.m. to 5 p.m. Winter Hours: 10 a.m. to 4 p.m. Learn how you can make a difference in your community by participating in this litter pickup program.